In a statement on Tuesday, Schwarzenegger acknowledged that he had a child with another woman over a decade ago, and revealed he only told his wife after leaving the governor's office. 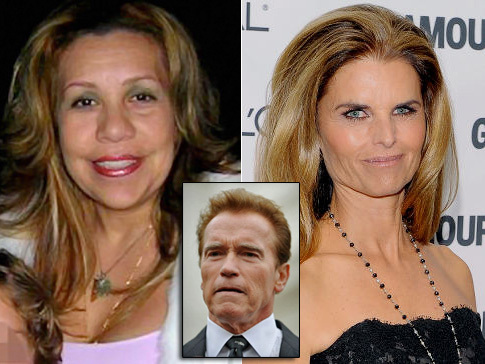 Schwarzenegger and Shriver announced their separation after nearly 25 years of marriage a week before the scandal broke. On Monday, Brown had noticed something unusual -- a woman who did not live in the neighborhood sat in a car in the cul-de-sac for four hours, from 8 a.m. to noon. Brown said she approached the woman and asked why she was there. That woman said she was meeting someone for lunch, but left a short time later without anyone else. The Los Angeles Times, which first reported Schwarzenegger had fathered a child with a longtime family employee, has not named the woman but has said she retired in January after working for the former governor and his family for 20 years.